Chris Seller is Qantas’ chief IT architect and head of Operations for its Corporate Services and Technology division. The executive is a veteran of the airline — having held senior IT roles within its ranks for over a decade, including as the head of IT for its Jetstar subsidiary. Seller took some time out recently to speak about Qantas’ cloud computing strategy and the issue in general. What is your definition of private cloud? Private Cloud services are an evolution of the datacentre virtualisation technology developments that have occurred over the past five years and offer higher levels of security, reliability and customisation for critical business systems using private networks. These environments deliver some of the benefits of public cloud computing without the potential risks, capitalising on data security, reliability, and corporate oversight concerns. Do you think the current hype is justified? The various models of cloud services offer many advantages – it really depends on the business situation. In many ways the airline systems provided by Amadeus can be considered a “Community Cloud” providing reservations, inventory, departure control and other software services for many of the world’s major airlines. This has been a very successful computing services model for many years. Qantas has been heavily involved in the development of these services and is an early adopter of many of the new innovations in airline passenger management delivered by this computing services model. What do you think of the current industry trends towards private cloud? Private clouds offer many of the benefits of cloud computing such as increased utilisation, elastic capacity, rapid dynamic provisioning of environments and device- and location-independent access while mitigating some of the risks. Private clouds offer increased data security, reliability, and corporate oversight while reducing potential network latency issues associated with network access integrations – effectively mitigating many of the concerns enterprises have with delegating their computing needs to external multi-tenanted environments. The downside is you still have to acquire, design, build, and manage the infrastructure, which reduces the potential savings on capital costs and support — essentially eliminating the economic benefits that makes public cloud computing a compelling concept. What is Qantas/Jetstar working on at the moment? At Qantas, we currently use the Microsoft BPOS cloud and another platform in the US for some simple document management applications and some of our business areas have been experimenting with Google Apps and Salesforce.com. Qantas are also in the process of virtualising our own datacentre operations run by IBM. We are starting to see some real benefits in terms of lower costs (support and environmentals), higher infrastructure utilisation, and reduced implementation timeframes. What solutions are you looking at in the future? Any cloud-based plans involved? We see the continued progression of our online services to the cloud. Currently our online booking services are provided through Amadeus, site caching services are provided through the cloud-based Akamai Service, and many other elements are hosted “externally” or in the cloud. New investments such as an integration hub for partner airlines is being proposed as a cloud-based service. 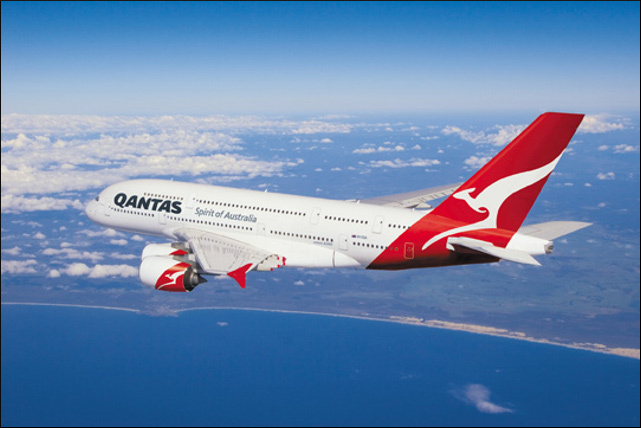 By 2015, Qantas expects to be extensively utilising cloud-based services and we continue to grow the footprint. Key services that are being targeted for cloud delivery may include collaboration and messaging services, information technology security services such as scanning and intrusion prevention services, application development hosting, and many back office and line of business applications could be procured in a Software as a Service model. Do you think Australia has a unique need for private cloud computing? The market for domestic public cloud offerings in Australia is still developing. Many of the larger and more useful offerings are based offshore and this introduces data security and network latency concerns. Until there is a greater local presence for some of these public cloud services I think many Australian enterprises will look towards private cloud solutions in partnership with local IT service providers as a first step into the cloud. What benefits do you see in private cloud? Cloud computing offers Qantas the potential to reduce our spend on technology infrastructure, reduce time to market for new business systems, and provide elastic capacity to cater for the turbulent nature of the airline industry (i.e. scale up and down as required). There is the potential to have an on-demand service, which would benefit us in periods of peaks and troughs. There is hope that in a cloud scenario we can do this without the need to buy extra services. This will reduce our fixed computing overhead costs, provide the opportunity for faster to market capacity, and will enable long-term forecasts on needs. Are you concerned about any security issues related to private cloud? We have concerns about the security of public cloud services due to the issues around trans-national security concerns. There are some significant security, privacy and technology limitations with the current generation of offshore public cloud computing solutions. The global nature of these service means the data could be stored in a variety of locations – we don’t want our customer data compromised if it ends up in a jurisdiction with poor privacy laws or government access rights that are not consistent with our obligations to protect our customers’ privacy. Most of these potential security and privacy issues found in public clouds are mitigated in the private model. What restrictions/hurdles do you see for private cloud in Australia (for example, power restrictions)? There is a growing concern around the ability for datacentres to continue to grow due to power constraints. Multi-tenanted cloud services can create opportunities to increase the utilisation of datacentre infrastructure and reduce the overall power needs. Network capacity and latency can also be a limiting factor for cloud services. Moving large volumes of data necessitated by integrations with other systems and network access latency can drive significant costs. Which Australian sectors do you think would uptake private cloud first? I think this is more dependent on the individual enterprise than a particular sector. The decision to deploy private cloud services will depend very much on the particular enterprise’s IT infrastructure and application needs, their sourcing strategy and investment cycle. In Qantas’ case we are in the process of virtualising our entire datacentre operations, which now presents us with some new and innovative hosting opportunities in our own private cloud. What type of private cloud services do you do you think are uptaken first? Commoditised services such as messaging, collaboration document management, and many of the simpler back office business applications. What would you recommend to an Australian CIO looking at private cloud? Firstly, understand the model and what tradeoffs and limitations a cloud service entails. Managing in a multi-tenanted environment requires a more careful approach to change and configuration management for instance. There are also potential software licensing and support issues to be considered. Secondly, understand the information security and privacy implications of the data to be stored in the cloud. Can you fulfil your corporate data security and customer privacy obligations when it’s all in a cloud environment? Finally, try it out with some commodity services like messaging and collaboration. Then introduce some less critical line of business applications and monitor system performance, stability and network latency. This article is one in a series about private cloud in the Australian context. Other feature articles so far include an article investigating the definition of private cloud, and an article looking at the variety of private cloud providers in Australia. Westpac has also recently revealed it has deployed an internal private cloud.